Just beyond Ferndale lies the legendary Lost Coast, a lengthy stretch of remote and ruggedly beautiful coastline free of development, highways and restrictions of reality. The Victorian Village of Ferndale is the perfect jumping off point for exploring this largely inaccessible natural wonder and its scenic vistas, hiking trails, wildlife & historic landmarks. Venture out "The Wildcat" for breathtakingly beautiful Cape Mendocino and the Bear & Mattole Valleys, breathe in fresh ocean air on a sandy stroll at secluded Centerville Beach, and hike the Lost Coast Headlands for sweeping ocean views before returning "home" to Ferndale for renowned restaurants, entertainment & relaxation. Explore some of the most remote and ruggedly beautiful coastline in California, no backpack required. The 28-mile Mattole Road, a legendary scenic route known to locals as "The Wildcat," traverses through alpine forests, by tiny secluded towns and down an epic drop to the ocean at Cape Mendocino, where sweeping cliffside views give Big Sur and the Hawaiian Islands a run for their money. Continue on to Petrolia for lunch at The Yellow Rose - the only restaurant and bar for miles - before turning back toward Ferndale. Or, complete the loop through Honeydew and the Mattole River Valley into Humboldt Redwoods State Park and 101 North. Five miles from Ferndale, secluded and breathtakingly beautiful Centerville Beach offers an alluring taste of the mostly inaccessible Lost Coast with its wild waves, windswept bluffs and coastal wildlife (including many species of birds, Harbor seals and migrating Gray whales in spring and fall). The beach is ideal for picnicking, off-leash dog play, horseback riding and bird watching. Continue north toward the mouth of the Eel River for access to sloughs, dunes and wetlands, or drive up the ridge on Centerville Road to find the Fleener Creek and Guthrie Creek trailheads, part of the 463-acre Lost Coast Headlands National Monument. Unsupervised; no facilities or services. 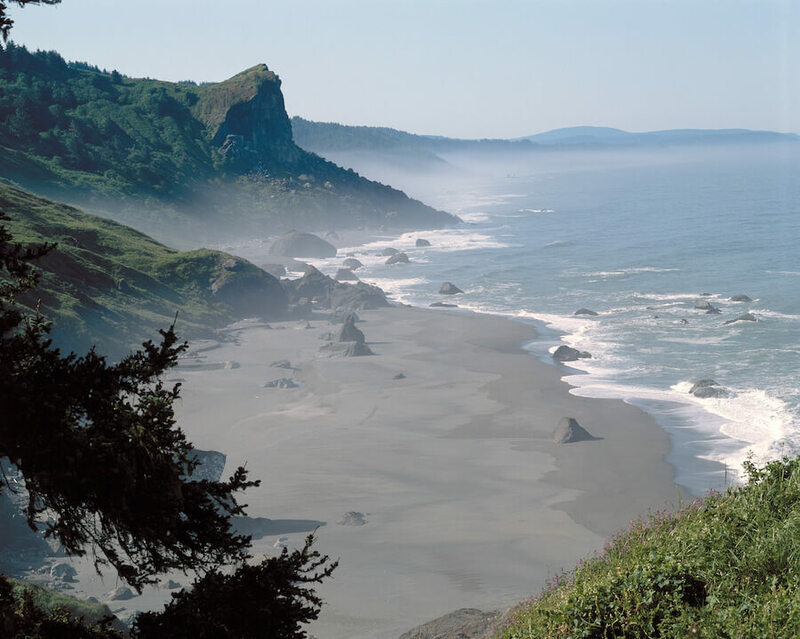 Located six miles west of Ferndale, the Lost Coast Headlands includes four hundred sixty-three acres of scenic coastal wilderness offering incredible hiking, bird watching, wildflower viewing and beachcombing opportunities. Guthrie Creek Trailhead follows a well-maintained path that zigzags down a rolling hillside to a remote driftwood-strewn beach, with views of crumbling bluffs, coastal vegetation and Cape Mendocino along the way. Fleener Creek trailhead features a quick hike down switchbacks to the secluded beach below the bluff. ©2018 Ferndale Chamber of Commerce, all rights reserved. Special thanks to Leon Villagomez and Carl Neeley for photography.